As a manufacturer that has been producing acupuncture supplies for a global clientele for nearly 30 years, we are not only very familiar with quality requirements and medical standards, but we can also provide you with the safety and quality you require for practical application thanks to our established control procedures. Extremely precise measurement procedures ensure that only the products that have passed our strict internal quality control enter the market. 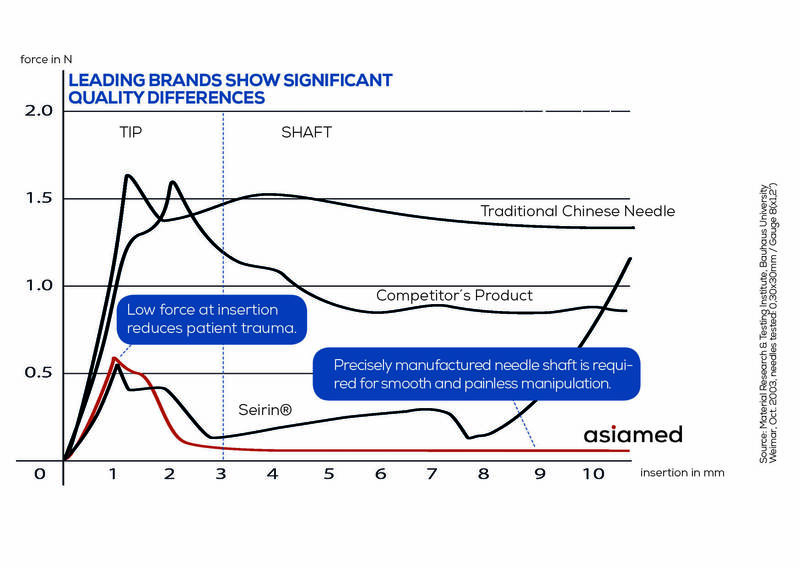 This means that asiamed products are safe and ensure a nearly painless acupuncture treatment. Whether a needle causes pain when piercing the skin depends on how easily it can penetrate the upper skin layer (cutis). This is because the cutis has a large number of pain receptors, unlike the subcutaneous skin tissue. Acupuncturists and patients aim for a successful treatment. In reaching this goal, an exceptionally gentle penetration of the acupuncture needle into the skin plays an important role. Our ambition is to create the perfect acupuncture needle. Our objective: Uncomprimising quality. Low-quality steel contains entrapped air that would cause a break of the material due to the extremely thin wire diameters. asiamed only uses finest quality medical stainless steel to assure the unique flexibility and a flawless material compositon. The grinding and sharpening of a cambered pinpoint to a length of only 0,2 mm is counted, considering the extremely thin diameters of the needles, to the fine arts of automatic production. asiamed has designed and developed high-precision machines for processing steel specifically for the fabrication of acupuncture needles in collaboration with universities and manufacturers. The polishing and grading of the needle requires experience and technical know-how. 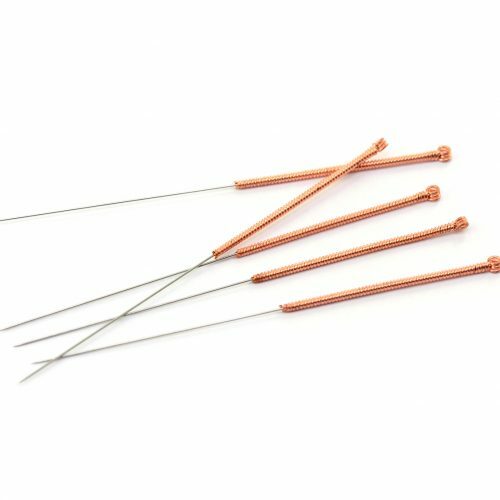 Our acupuncture needles are polished, respectively electro-polished and this way recieve their particularly smooth surface structure. The polished needles are coated with a filmy silicone layer on the whole length of the needle, that is also applied in the production of injection cannulas. The medical silicone of highest quality adheres strongly to the needle. Of course, every needle is sterilized and safely packaged. To ensure our product standard, the finished needles are subject to a strict quality control. Only acupuncture needles, that meet our high specifications will pass the quality check and be released into the market. By this means we make sure that both users and patients can rely on our products.